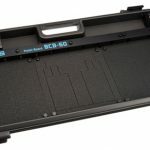 You are here: Home / Tools For Musicians / Best Pelican Case Alternative 2019; Which Of Their Competitors Has The Best Waterproof Hard Cases? 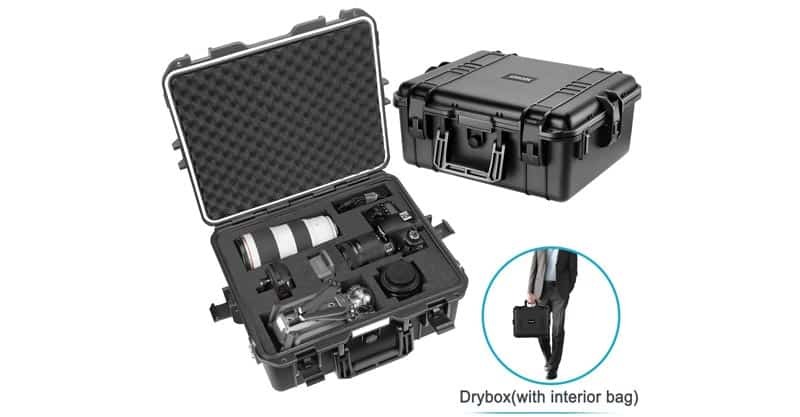 Best Pelican Case Alternative 2019; Which Of Their Competitors Has The Best Waterproof Hard Cases? If you know you’re going to be touring, it’s quite likely that you’ll be interested in taking care of your gear. 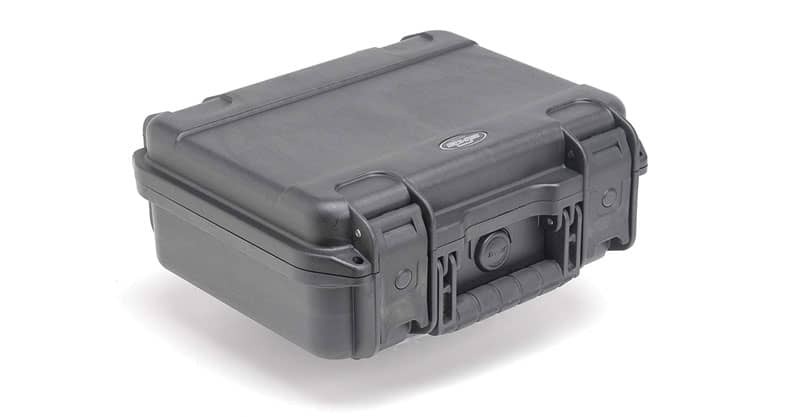 Pelican cases are waterproof, well-padded, heavy duty cases that are used for a variety of applications, whether it’s for storing tools, firearms, cameras and electronics, telescopes, or other breakables and vulnerable equipment. But what if a Pelican case isn’t what you’re looking for? What if you’re interested in alternatives? In this guide, we’ll look at the best waterproof hard cases. What Should I Look For In An Equipment Case? Do I Need Waterproof Hard Cases For My Gear? What Are The Benefits Of Waterproof Hard Cases? One case we’ll highlight here is the ultrahigh-strength polypropylene copolymer resin 3I-1610-5B-C case. This spacious and heavy-duty case isn’t just waterproof. It’s resistant to UV, solvent, corrosion and fungus. It’s a watertight case thanks to the gasket seal. It comes with automatic ambient pressure value with cubed foam. So, for carrying around vulnerable equipment, this is a great case. Customers have had nothing but positive things to say about it, including its spaciousness and its rugged design. Now, it’s nice to know that SKB doesn’t just produce generic equipment cases – they also make instrument cases. SKB is a well-known brand when it comes to transport cases, whether it’s for music, photography and video, sports, industrial equipment and even the military. SKB was established in 1977 by founders Dave Sanderson and Steve Kottman. Their first case, interestingly, was a guitar case. Their cases are designed to stand up to a lot of abuse while you’re on the road. The NANUK 910 is sturdy, affordable and waterproof. It comes in Black, Olive, Orange, Silver, Tan, Yellow and Lime. Its interior dimensions are L 13.2” x W 9.2” x H 4.1” and comes with one-layer cubed foam insert with base pad and lid foam. And, it isn’t just waterproof. It’s dustproof, shockproof and impact resistant too. The automatic purge valve also equalizes pressure on the inside of the case while you’re traveling. The two patented Powerclaw triple action latches molded in super-tough Nylon help keep the case securely closed with compressive force. With a limited lifetime warranty, the NANUK makes for an attractive offer. It’s one to check out. 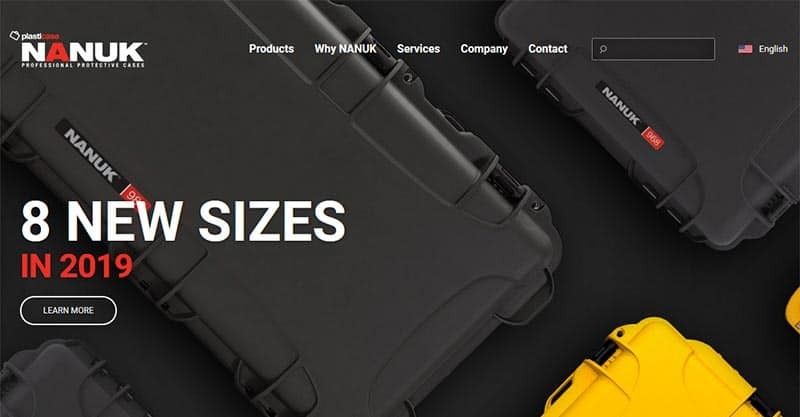 NANUK (or Plasticase) has but one mission in mind – to design, engineer and manufacture the best injection molded plastic cases across the globe. Their waterproof and impact resistant protective cases have been rated for military, law enforcement and other professional uses. 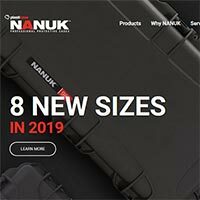 NANUK offers a variety of cases in different sizes and for different applications. 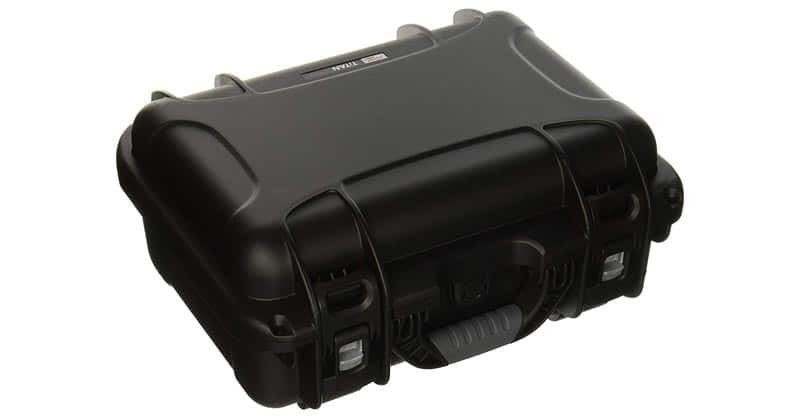 The GU-1309-06-WPDF is an affordable equipment case made specifically for audio visual recording and electronic equipment. This case is IP 67 certified, making it water and dust proof. It’s made of impact proof lightweight NK-7 resin. It comes with an easy release power claw latching system and the interior foam is customizable. This is undoubtedly a sturdy case. Some customers have talked about how the sides don’t seal, so if you’re worried about leaks, it might not be the right choice. Aside from that, this Gator is worth a look. Gator is another name that should be at least somewhat familiar to musicians. It’s still a relatively new company founded in 2000 by father-daughter team Jerry Freed and Crystal Morris. Their first product was a molded plastic guitar case. Gator continued to grow as it acquired companies and became the official distributor for Gravity Picks and T-Rex Effects Pedals in 2016 and 2017. The NW-20 is water, dust and shockproof. It’s perfect for travel and comes with customizable removable inserts for a variety of different types of gear. The case is both solid and lightweight, making it comfortable for carrying. It has four reinforced buckles in the opening side, left and right side, which adds to the overall safety of the design. The case is also quite spacious at 16.9” x 14” x 5.5” for the interior. If you’re looking for a road worthy case, the Neewer should be on your radar. Neewer is probably most known for their DJ, photo, video and music accessories. Founded in 2010, Neewer offers lighting kits, camera lenses, camera mounts and more. And, they also happen to make a decent case or two. 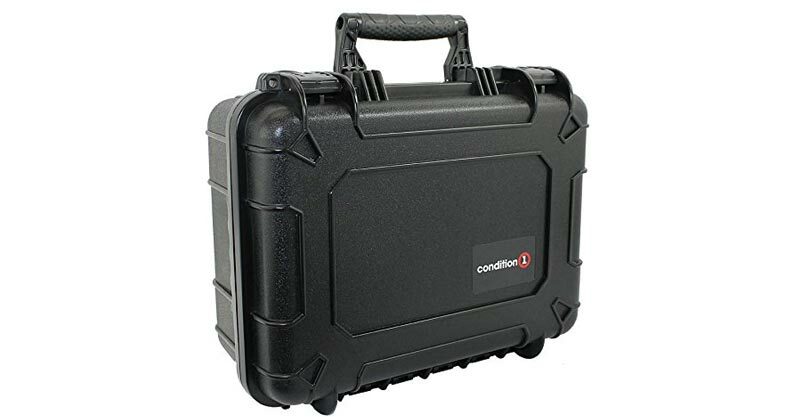 Whatever it is you’re looking to protect while on the road, this Condition 1 case is reliable, safe and convenient. This case is virtually indestructible thanks to the rugged O-ring seal, which also makes it air and water tight up to three feet deep. Its automatic pressure release valve allows it to adjust to any environment. It’s made with tough, lightweight polypropylene copolymer, which can help you keep your gear from being impacted by dust, dirt, moisture, scratches, dents and abuse. The convoluted foam is glued into the lid and has a pluckable foam interior, which allows you to customize to fit your valuables. You also get a free set of Condition 1 Dual Cable Locks. With a lifetime warranty, and mostly positive reviews, Condition 1 is another contender in the hard, waterproof case space. Condition 1, located in Sherman, TX sells hard carrying cases across the globe. Their cases are built to protect electronics, video equipment, cameras, rifles, pistols and anything that needs extra support. Your cases are going to be holding your valuables – lights, cameras, instruments, microphones, effects units, rackmounts, mixers and anything else you might consider important. So, you don’t just want to buy any case. You want to buy cases that you know you can rely and depend upon. Now, how long you’re planning to tour and by what means (by ground, sea or air) is certainly going to be a factor. The greater the distance, the better quality the cases you’ll likely require. With that said, most if not all cases mentioned in this guide do hold up to quite a bit abuse and should serve you well in most situations. Still, there are certain things worth looking for in a case. Here are the criteria I would consider important. I’m not saying that you won’t need multiple cases depending on what you’re planning to take with you on your travels or on tour. But you should probably ensure that whatever case you buy is going to fit the gear or equipment you’re planning to put in it. 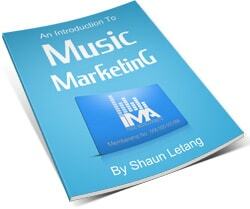 Fortunately, it doesn’t cost a lot of money to buy the types of cases mentioned in this guide. If you need something bigger, you will spend more, however. So, don’t be too quick to buy a case before you know how you’re going to be using it. You want to make sure it holds your gear snugly. Again, this shouldn’t be a major concern with the cases mentioned here. But I’m guessing you don’t want your cases breaking on you, especially since they are housing some of your most valuable gear. Hard cases are meant to hold up to quite a bit of abuse. If they don’t, they’re not worth the asking price. 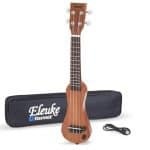 As I already mentioned, you won’t necessarily need the strongest case available, especially if you’re just planning to perform or travel close to home. But if you’re going to be traveling across the country or even continent using a variety of means, you should ensure that your gear is safe and protected. A portable, lightweight case is a lot to ask for when you’re looking for a hard, waterproof case. I wouldn’t say that portability is essential when it comes to finding a good case, but it does make your life a lot easier, especially if you don’t have any roadies taking care of your gear for you. 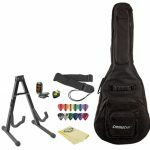 You must keep in mind that you’re going to be carrying the case (with the gear in it) on and off stage every time you perform. Or, if you’re lugging your guitar around, you’re going to be taking it with you everywhere you go. And, there’s a practical element to all this in that if you’re planning to take your gear on a plane, you’re going to save a lot of money by ensuring that your gear isn’t too heavy. So, it helps if the case of your choosing isn’t too burdensome. Again, it can be tough to find that balance when you’re looking at high-quality cases that stand up to a lot of abuse. As I already pointed out, you won’t necessarily need just one case. You might end up needing many. So, one case shouldn’t be too hard on the wallet. But if you end up needing a lot because you have a lot of gear, you need to be prepared to pay more. An easy way to spread out your spending is to plan. For instance, if you know you’re going to be traveling four months from now, and you need four cases, you could save up for one case per month. The most important thing here is that you get what you pay for. When a band or artist is just getting started, they aren’t necessarily thinking about all the gear they need. So, they just improvise and use whatever is around the house – duffle bags, hockey bags, gig bags and so on. That isn’t necessarily a problem. In my early days as a performing artist, the only gear that my band had in cases were guitars and the drums. Amps rode in our cars as is. Merch was stored in a simple drawstring bag. That may have been okay for performing locally. But if we had toured more extensively, this probably wouldn’t have been the best idea. For one, people could see into our cars and maybe want to steal what we had. For another, the gear could have been damaged in transport (i.e. if we drove over a pothole too fast and blew a tire). And, if we were looking to fly out to perform, we would have had to figure out another way to store our gear. If you’re flying, you should have flight-worthy cases. So, what you need depends a lot on your gear, how you’re going to be traveling, where you’re going to be traveling, what mode of transportation you’re going to be using and so on. But the more gear you have, the more the need for solid cases will likely increase. There are many benefits worth considering. Odds are good that the cost of replacing gear is going to be significantly higher than the cost of replacing cases. So, you’re probably not going to be sorry if your case takes some heavy abuse and become unusable, especially if the gear inside remains perfectly intact. 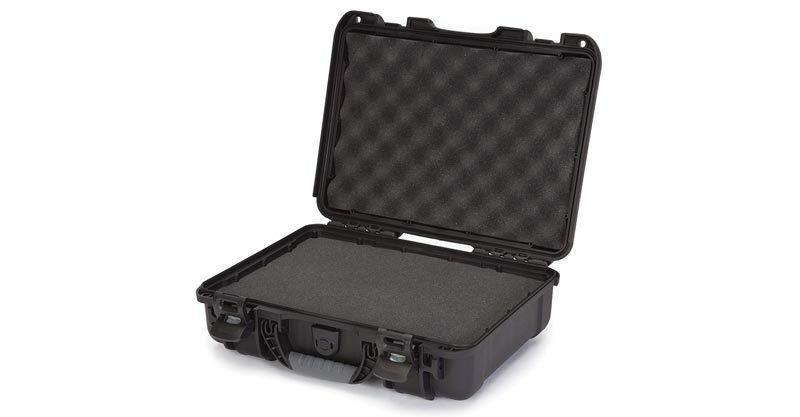 Heavy duty cases help protect your equipment, and that’s a big deal – especially if you own lots of high-priced gear. Most independent artists and bands tend to tour in cars, trucks and vans. If people can see inside your car, odds are they can see your gear. But the sight of cases is far less tempting than the sight of expensive looking amps, guitars and drums. So, there’s probably a better chance people will leave your gear alone. Now, most cases have limits as to how well they can protect your gear. Still, it’s good to know that waterproof cases should help protect your equipment from water damage. However unlikely it may seem, it can happen. As a new, independent band or artist you might not have much gear or a budget. But as you continue to perform and gain a following, you’re going to want to put money back into your project. That’s the right time to begin investing in hard cases that will keep your musical gear secure.